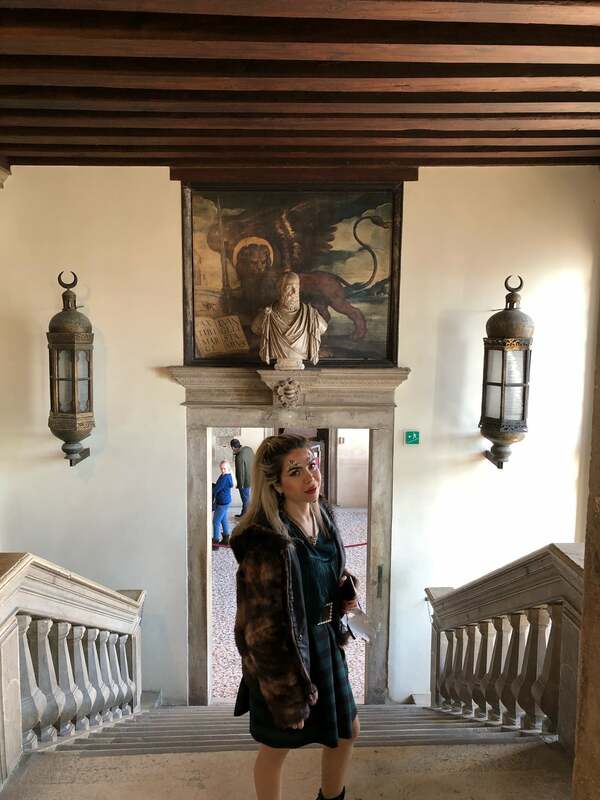 Book in advance for the guided secret tour that takes you out of the gilded reception rooms and into the old offices, meeting rooms and even torture chambers where the real business was conducted. 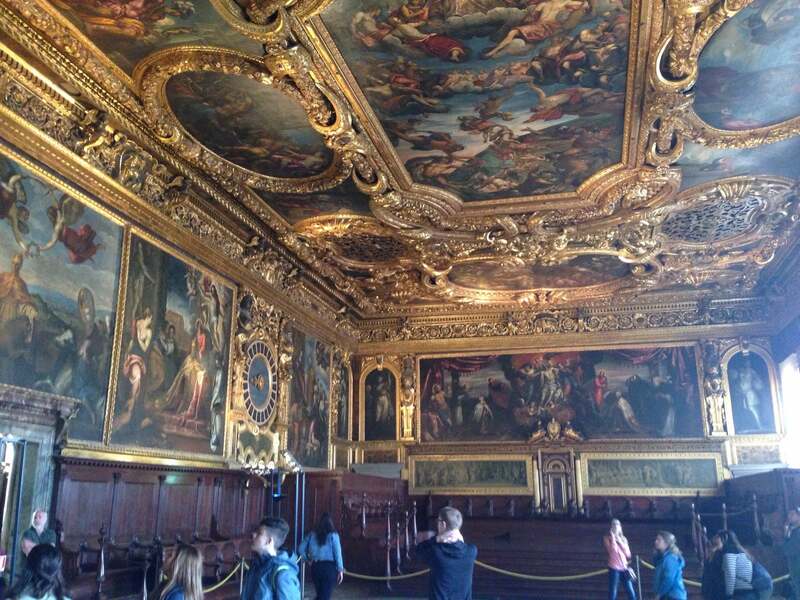 It was wonderful to get inside the Doge's Palace-it is very impressive! The halls,the stairways,the artwork- it makes You admire and wonder. And to get to the bridge of sighs-wonderful.Amazing! Absolutely sign up ahead of time for the Secret Itineraries tour. 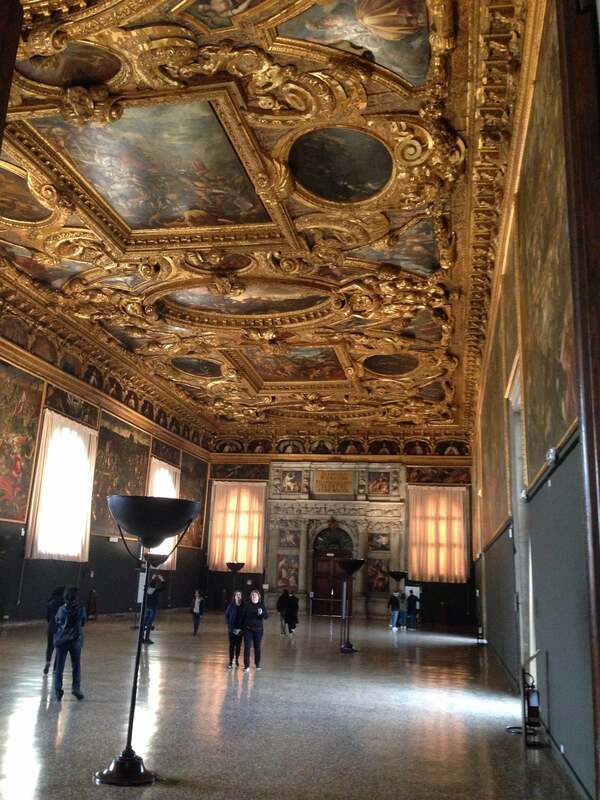 You skip the line, get an interesting tour and are free to wander the Palace afterwards. Magnificent palace you should definitely go inside. It’s worth it ! I advice the “secret itinerary” visit, you can book on the website. Awesome! Especially for kids ! 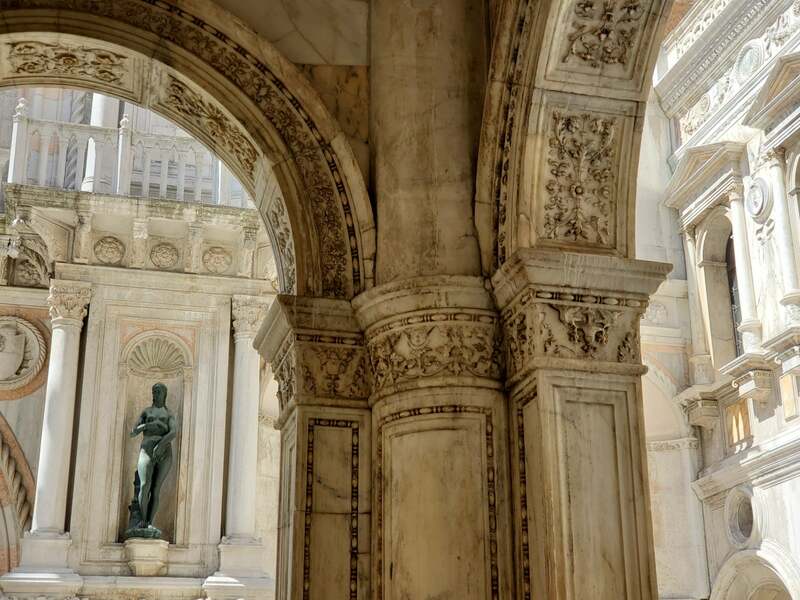 Discover the Secret Itineraries in the Doge’s Palace, offering an interesting insight into the civil and political history of the city of Venice. Book now your special tour guide! Wonderful and extremely huge Palace. 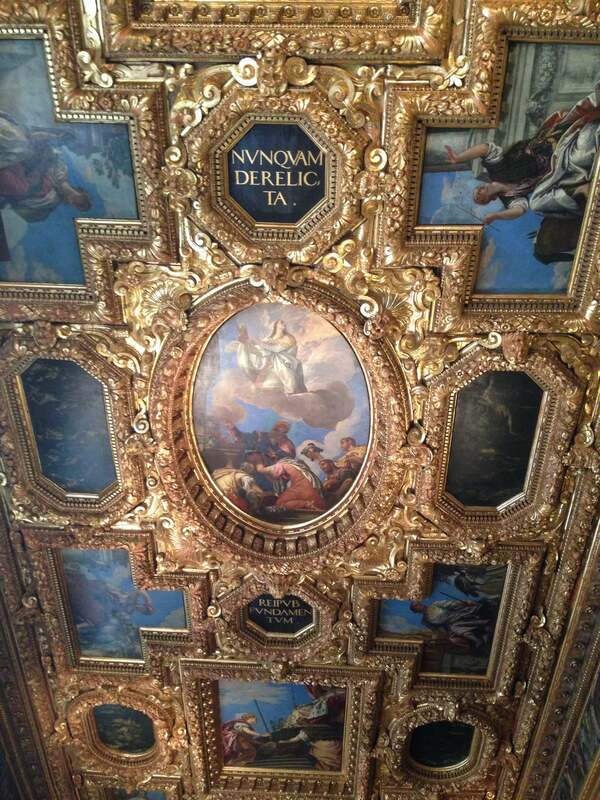 A definite must-see in Venice. Just buy your tickets before and save a lot of time for taking another queue than most of the other people. Understanding the history and importance of the Doge at the time. You get to walk inside the bridge of sighs. 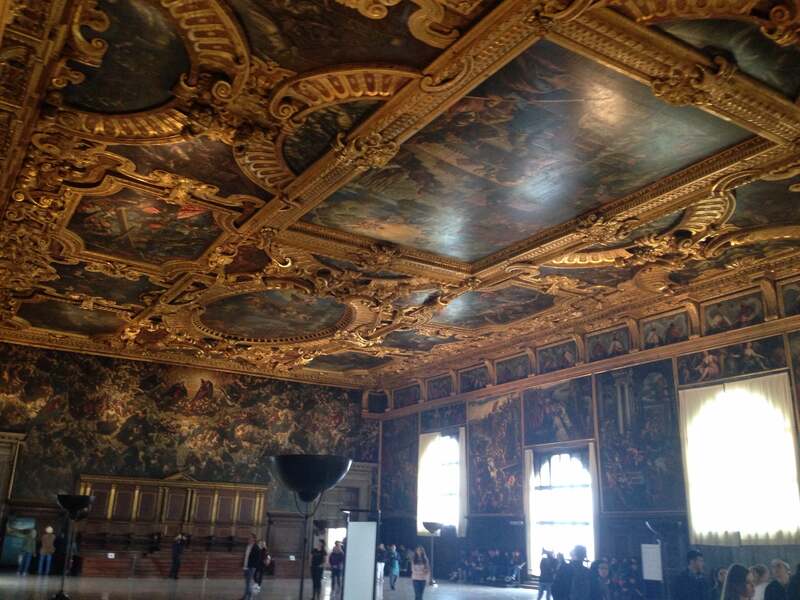 It’s a lot of large rooms and paintings as per usual with a palace. Better to take the ticket and enter the Palace. 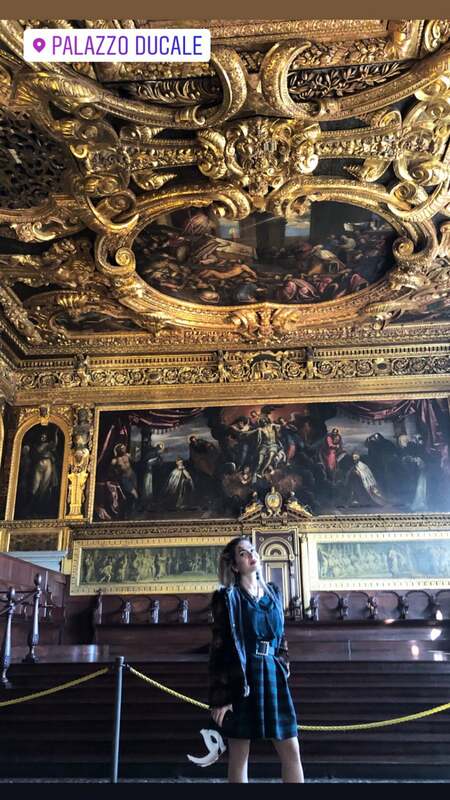 Everything is huge, as for Venice, great art on walls and ceilings, impressive tour through the Bridge of Whispers to Prison facilities! 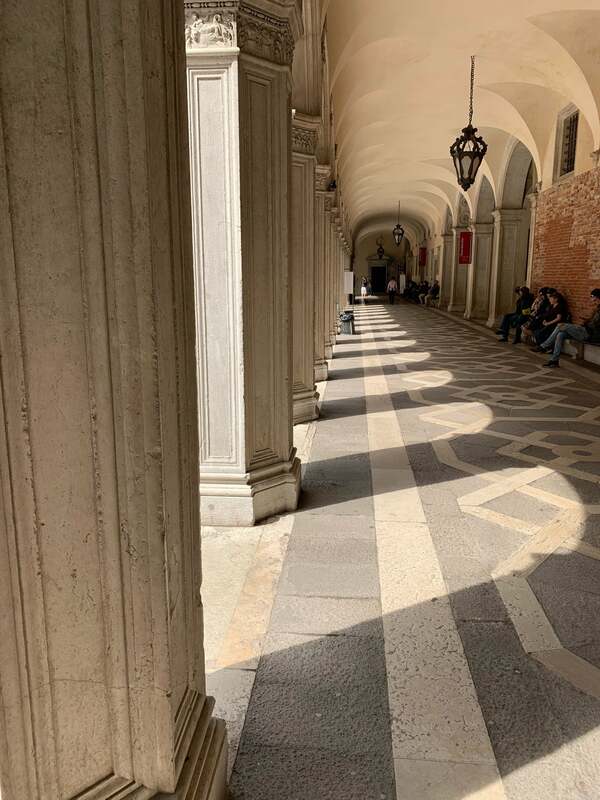 When you enter the inner courtyard, you'll see a flight of stairs to the Doge's private quarters, known as the "Scala dei Giganti" and flanked by huge statues of Mars and Neptune. Well organized progression from room to room makes it easy to self-guide. Audio guide not necessary; written guides are abundant. Go very early or very late to avoid crowds and tour groups. 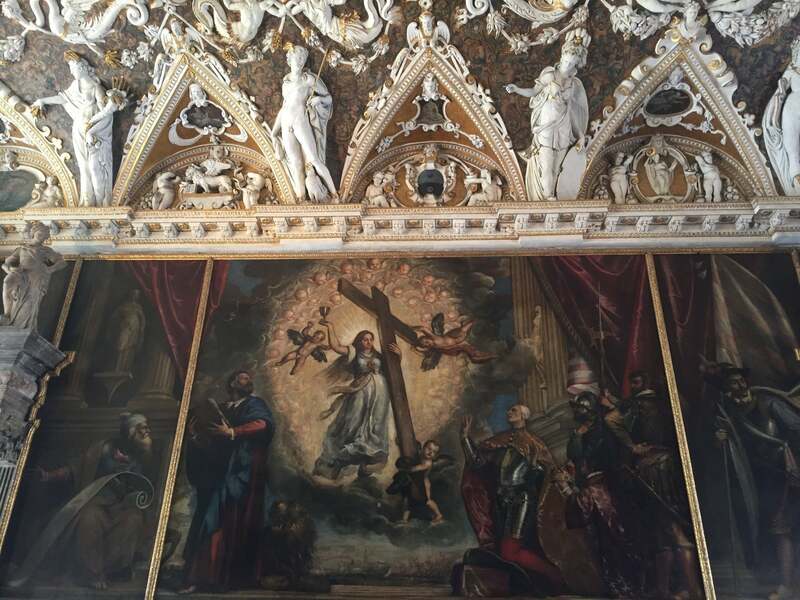 Not too crowded, really cool place to visit, Tintoretto and Veronese paintings. If you have an hour I do recommend to visit. Beautiful palace! In the palace prisons, there is a room that displays prisoner graffiti, but also look for etchings on cell window sills. In the armory, you'll also find a chastity belt on display. If you are visiting during winter, do not forget your warmest jacket. Although this place is amazing the cold may ruin your visit. 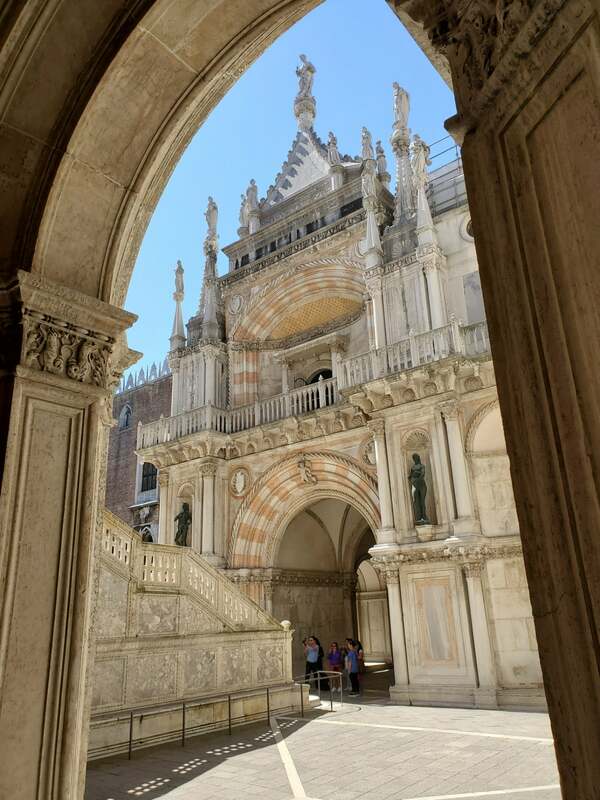 One of the beautiful buildings adorning piazza San Marco. Will have to return to visit the interior. 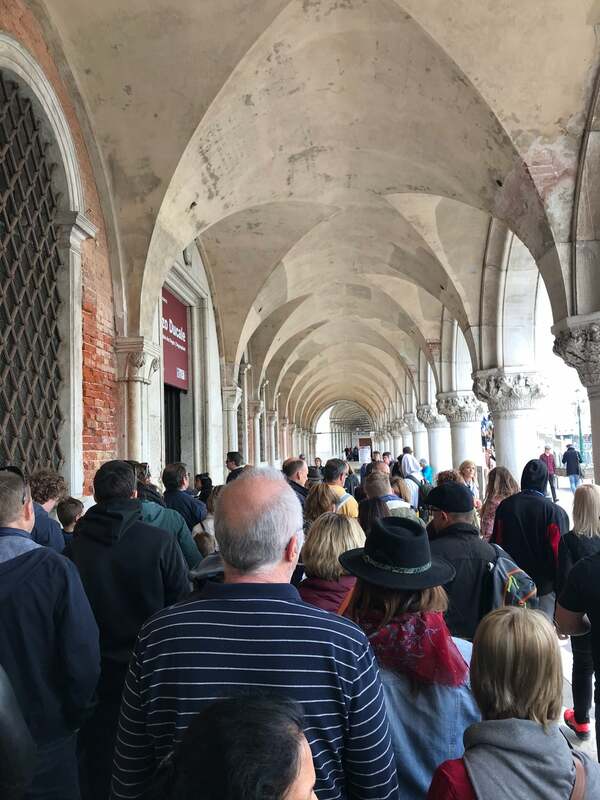 Visit the Doge's Palace and follow the self guided tour. The meeting rooms are amazing and the art is stunning. 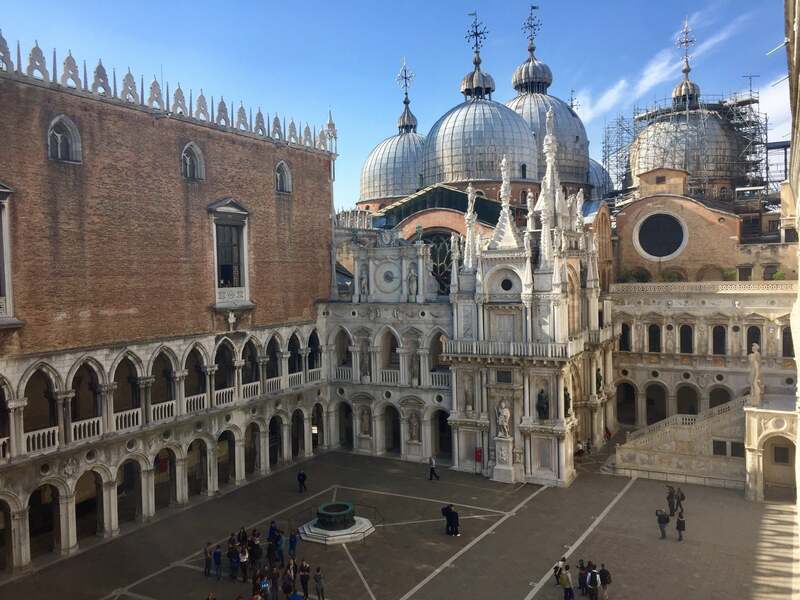 It is a good place to start with in Venice! Combination of breath taking archeticture and historical monuments.